Although highly regarded as a writer of fiction, nonfiction, and drama, N. Scott Momaday considers himself primarily a poet. 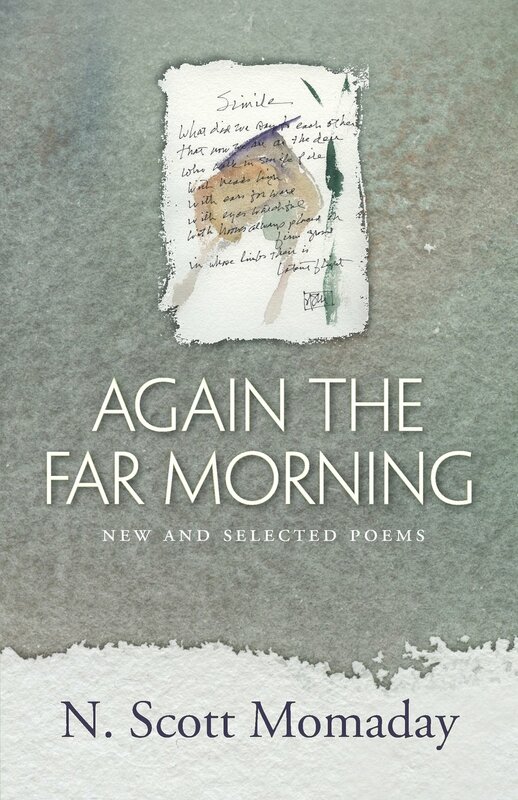 This first book of his poems to be published in over a decade, Again the Far Morning comprises a varied selection of new work along with the best from his four earlier books of poems: Angle of Geese (1974), The Gourd Dancer (1976), In the Presence of the Sun (1992), and In the Bear's House (1999). To read Momaday's poems from the last forty years is to understand that his focus on Kiowa traditions and other American Indian myths is further evidence of his spectacular formal accomplishments. His early syllabic verse, his sonnets, and his mastery of iambic pentameter are echoed in more recent work, and prose poetry has been part of his oeuvre from the beginning. The new work includes the elegies and meditations on mortality that we expect from a writer whose career has been as long as Momaday's, but it also includes light verse and sprightly translations of Kiowa songs.